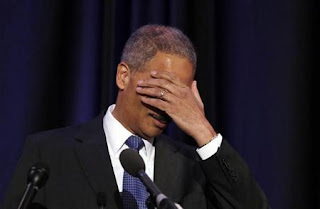 Washington (CNN) — The House of Representatives voted Thursday to hold Attorney General Eric Holder in criminal contempt for refusing to turn over documents tied to the botched Fast and Furious gun-running sting — a discredited operation that has become a sharp point of contention between Democrats and Republicans in Washington. The 255-67 vote marked the first time in American history that the head of the Justice Department has been held in contempt by Congress. Almost every House Republican backed the measure, along with 17 Democrats. Roberts’ rationale is on pages 31 & 32 of the decision which is here. The discussion is about the past precendent always assumes the benefit of doubt to Congress; to find the authority with which they can implement statute; not find a way in which they thorw it out. The Government relies primarily on our decision in Gonzales v. Raich. In Raich, we considered “comprehensive legislation to regulate the interstate market” in marijuana. 545 U. S., at 22. Certain individuals sought anexemption from that regulation on the ground that theyengaged in only intrastate possession and consumption.We denied any exemption, on the ground that marijuanais a fungible commodity, so that any marijuana couldbe readily diverted into the interstate market. Congress’sattempt to regulate the interstate market for marijuanawould therefore have been substantially undercut if it could not also regulate intrastate possession and consumption. Id., at 19. Accordingly, we recognized that“Congress was acting well within its authority” under the Necessary and Proper Clause even though its “regulationensnare[d] some purely intrastate activity.” Id., at 22; see also Perez, 402 U. S., at 154. Raich thus did not involve the exercise of any “great substantive and independentpower,” McCulloch, supra, at 411, of the sort at issue here. Instead, it concerned only the constitutionality of “individual applications of a concededly valid statutory scheme.” Raich, supra, at 23 (emphasis added). Just as the individual mandate cannot be sustained as a law regulating the substantial effects of the failure to purchase health insurance, neither can it be upheld asa “necessary and proper” component of the insurance reforms. The commerce power thus does not authorize the mandate. Accord, post, at 4–16 (joint opinion of SCALIA, KENNEDY, THOMAS, and ALITO, JJ., dissenting). The Government’s tax power argument asks us to view the statute differently than we did in considering its commerce power theory. In making its Commerce Clauseargument, the Government defended the mandate as aregulation requiring individuals to purchase health insurance. The Government does not claim that the taxingpower allows Congress to issue such a command. Instead, the Government asks us to read the mandate not as ordering individuals to buy insurance, but rather as imposing a tax on those who do not buy that product. The text of a statute can sometimes have more than one possible meaning. To take a familiar example, a law that reads “no vehicles in the park” might, or might not, ban bicycles in the park. And it is well established that if a statute has two possible meanings, one of which violates the Constitution, courts should adopt the meaning thatdoes not do so. Justice Story said that 180 years ago: “No court ought, unless the terms of an act rendered it unavoidable, to give a construction to it which should involve a violation, however unintentional, of the constitution.” Parsons v. Bedford, 3 Pet. 433, 448–449 (1830). Justice Holmes made the same point a century later: “[T]he rule issettled that as between two possible interpretations of a statute, by one of which it would be unconstitutional and by the other valid, our plain duty is to adopt that whichwill save the Act.” Blodgett v. Holden, 275 U. S. 142, 148 (1927) (concurring opinion). The most straightforward reading of the mandate isthat it commands individuals to purchase insurance. 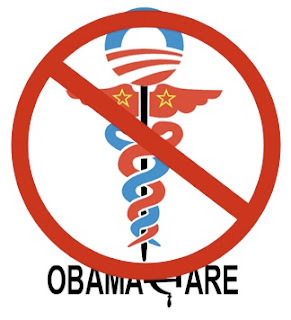 After all, it states that individuals “shall” maintain health insurance. 26 U. S. C. §5000A(a). Congress thought itcould enact such a command under the Commerce Clause, and the Government primarily defended the law on thatbasis. But, for the reasons explained above, the Commerce Clause does not give Congress that power. Under our precedent, it is therefore necessary to ask whether theGovernment’s alternative reading of the statute—that itonly imposes a tax on those without insurance—is a reasonable one. Under the mandate, if an individual does not maintain health insurance, the only consequence is that he must make an additional payment to the IRS when he pays his taxes. See §5000A(b). That, according to the Government,means the mandate can be regarded as establishing acondition—not owning health insurance—that triggers atax—the required payment to the IRS. Under that theory, the mandate is not a legal command to buy insurance.Rather, it makes going without insurance just another thing the Government taxes, like buying gasoline or earning income. And if the mandate is in effect just a tax hike on certain taxpayers who do not have health insurance, itmay be within Congress’s constitutional power to tax. The question is not whether that is the most naturalinterpretation of the mandate, but only whether it is a “fairly possible” one. Crowell v. Benson, 285 U. S. 22, 62 (1932). As we have explained, “every reasonable construction must be resorted to, in order to save a statute from unconstitutionality.” Hooper v. California, 155 U. S. 648, 657 (1895). The Government asks us to interpret the mandate as imposing a tax, if it would otherwise violate the Constitution. Granting the Act the full measure of deference owed to federal statutes, it can be so read, for the reasons set forth below. I’m on twitter @VictoriaTaft right now. Please follow me there. That’s where the action is at the moment. LIVE BLOGGING OF SCOTUS HEALTH CARE DECISION HERE. WATCH THIS SPACE. See the live blog here starting in the am. This is what Attorney David Rivkin told me is likely to happen in court Thursday morning. Please hear our conversation from Wednesday’s show here. Rivkin is a court watcher, inside the beltway big shot lawyer, arguer of the case for the 28 states in a lower court. He writes for the Wall Street Journal op ed page on constitutional issues and is a frequent guest on The Victoria Taft Show. He believes Justice Kagan will start things off and read the opinion on the Stolen Valor case. Rivkin believes the Stolen Valor Act will go down because you can’t criminalize speech-ha! hate crimes anyone?–but we’ll see. He’s as sharp as they come and he’s probably right. Justice Thomas is likely to take on an important decision about who has standing before the court. This is a biggie but inside baseball stuff. Something this important would not likely be given to the newbies on the court. Then Chief Justice John Roberts will read the ObamaCare decision. He has written nothing this term and has taken on responsibility for writing the majority opinion in a case that legal scholars will parse and teach and learn from for decades to come. The ObamaCare decision is as important to individual liberty and the relationship of an individual to his government as Brown or Roe. It will determine if Americans are mere subjects or if they are Citizens. My hope is that all of ObamaCare goes down because of the impossibility of determining congressional intent and the lack of a severability clause, but I know it’s too much to hope for. That said, I think we’re possibly looking at a 5-4 or 6-3 decision (hopefully with Sotomayor coming over–don’t ask me why, I’m just hoping) throwing out the mandate but keeping some of the superstructure of the bill. Like a black dwarf, it’s big but meaningless. ObamaCare Tea Party Plans. Thursday at 7pm or Friday at 7pm?